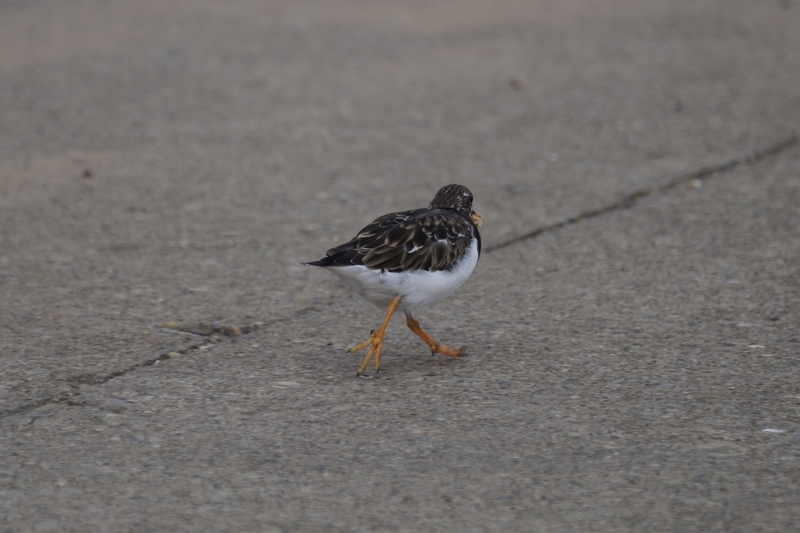 Whitby Harbour, October 2018 | Why watch wildlife? A day out may not involve wildlife-watching, not as a specific goal. But that doesn’t mean treats cannot be found, especially with once-wild species increasingly urbanised. 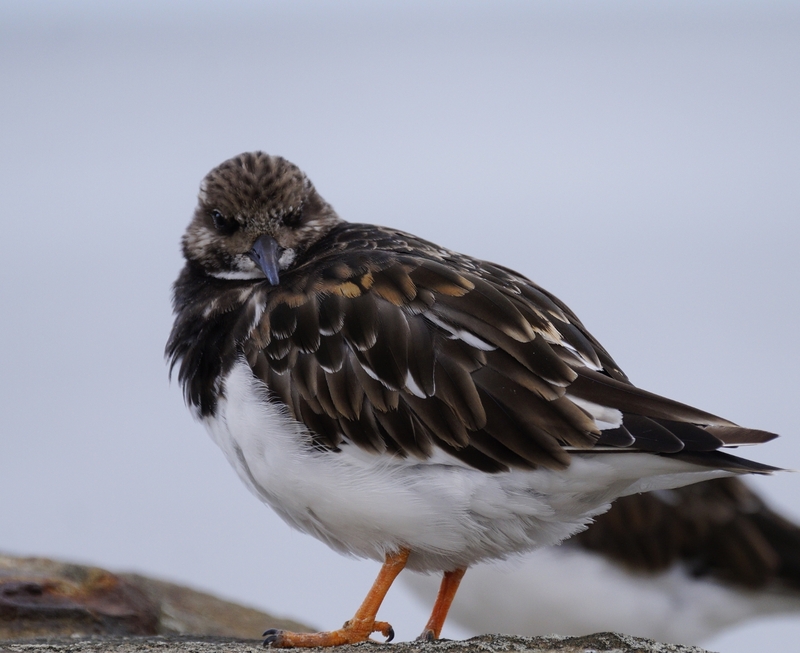 I have, I’m quite sure, mentioned before that Turnstones are among my favourite birds. 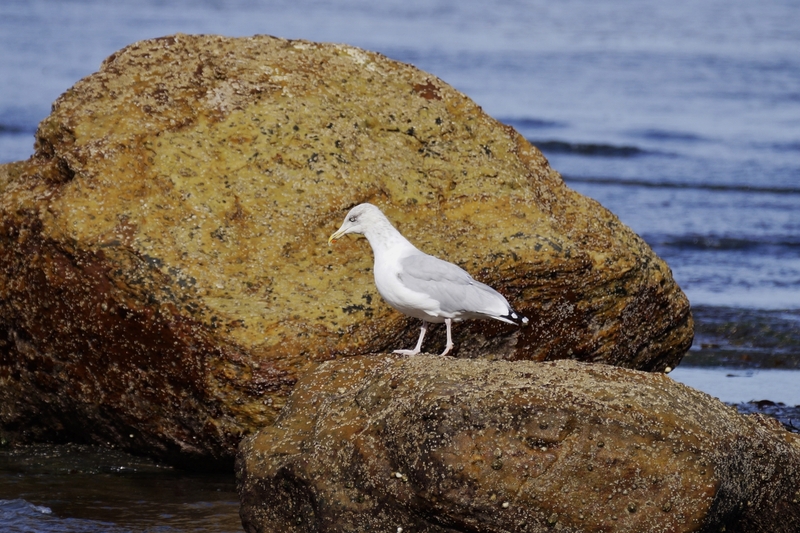 They have lovely cryptic plumage that allows them to blend in perfectly on rocky, seaweed-strewn shores. You can be walking along and suddenly realise 40 or 50 of them are lurking nearby. 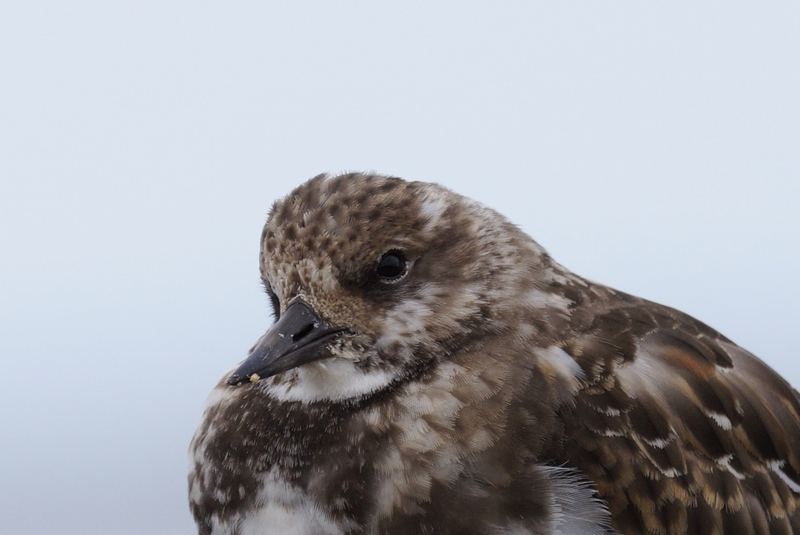 But over the past few years they have been taking to cleaning up around harbours, trotting along avoiding human feet, gathering the easy food sources we leave behind. 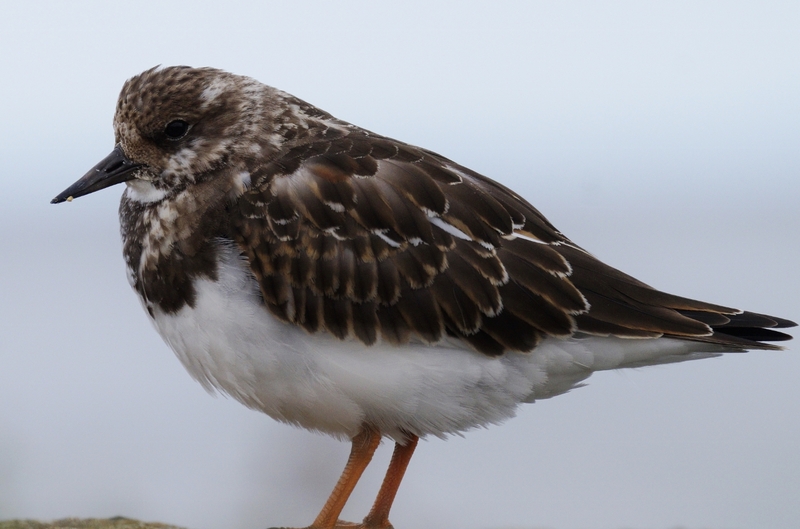 The benefit for us watchers is we can get amazing, close-up views of this beautiful little wader. 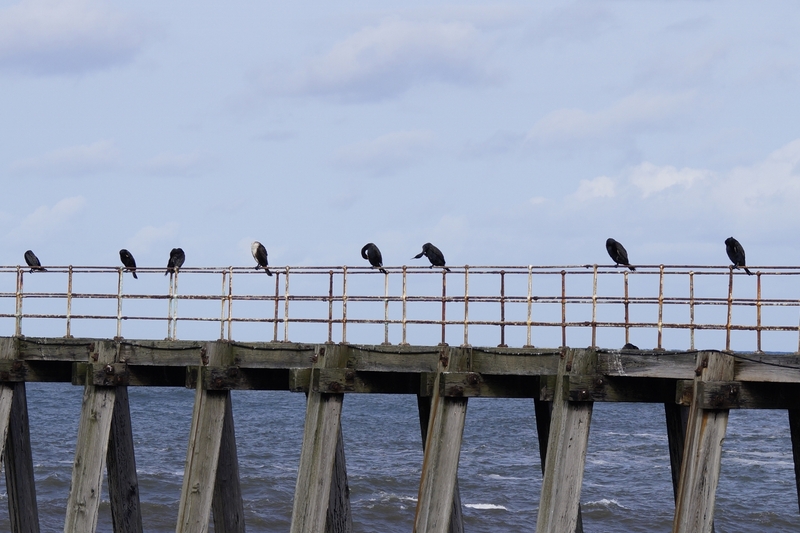 On Whitby West Pier there was a group of 5 that were clearly used to being fed every afternoon by the man in the lighthouse, who came out and scattered the crumbs of his lunch. 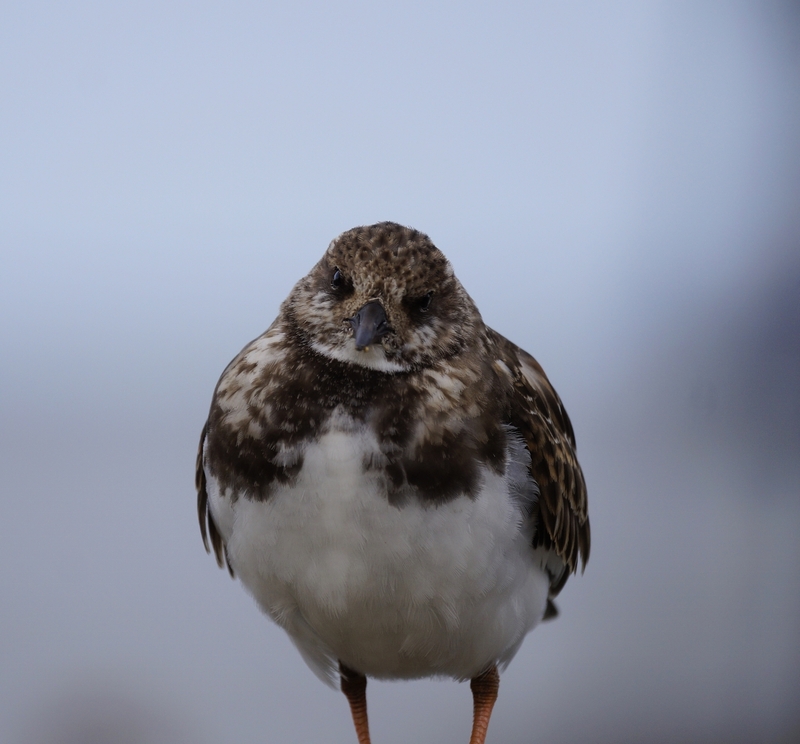 The Turnstones grabbed a crumb, then scurried off to a hidden spot under benches where they could eat without fear of the gulls. Then back for another bite. 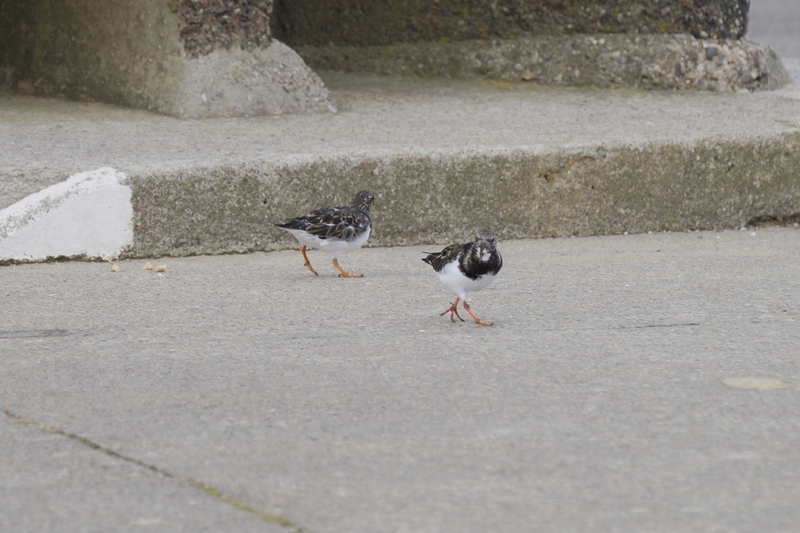 After eating their fill, they settled down on the pier wall, and had no issues with me walking up to them, no more than a metre or two away, and taking as many photos as I wanted. 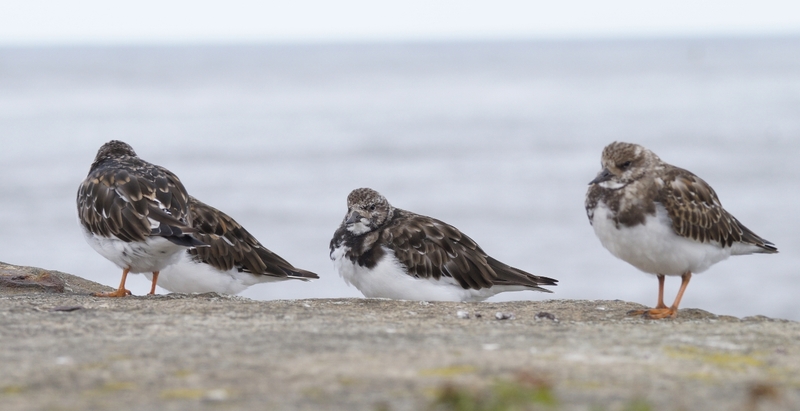 It wasn’t just the Turnstones. 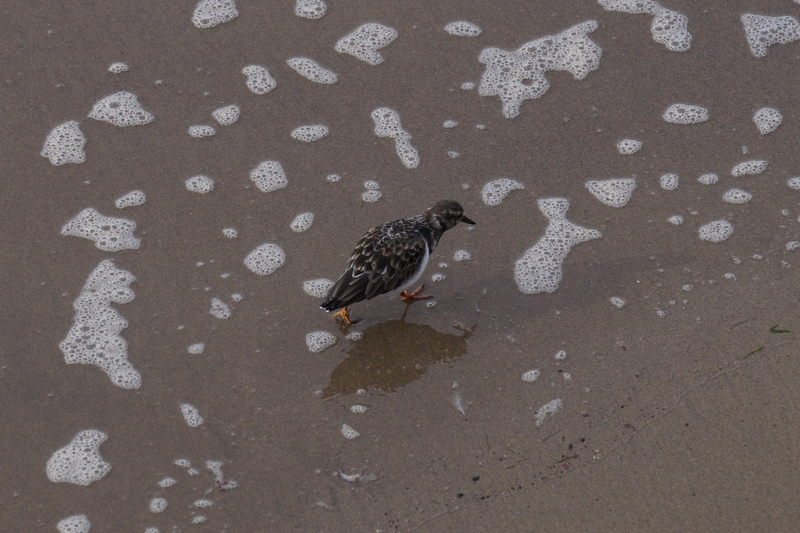 On the beach, with another group of Turnstones, were a couple of delightful little Purple Sandpiper. 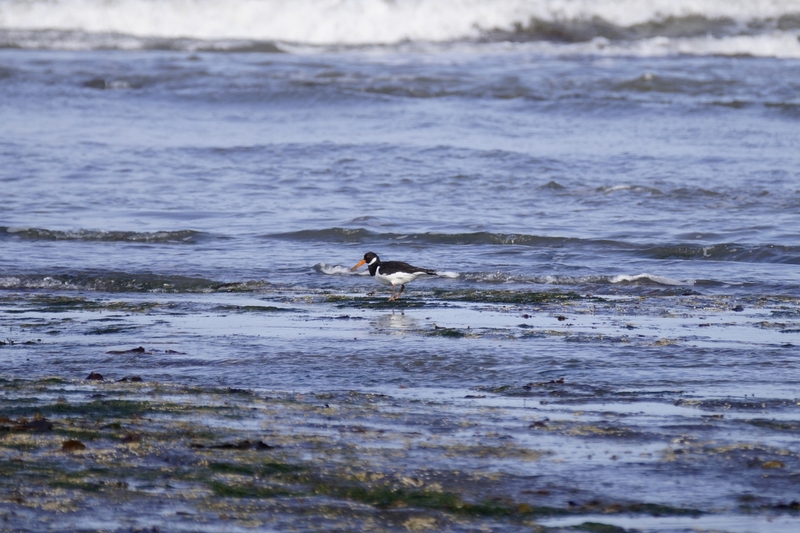 There were also quite a few Oystercatcher, sadly like Redcar they were often being disturbed by inconsiderate dog owners. 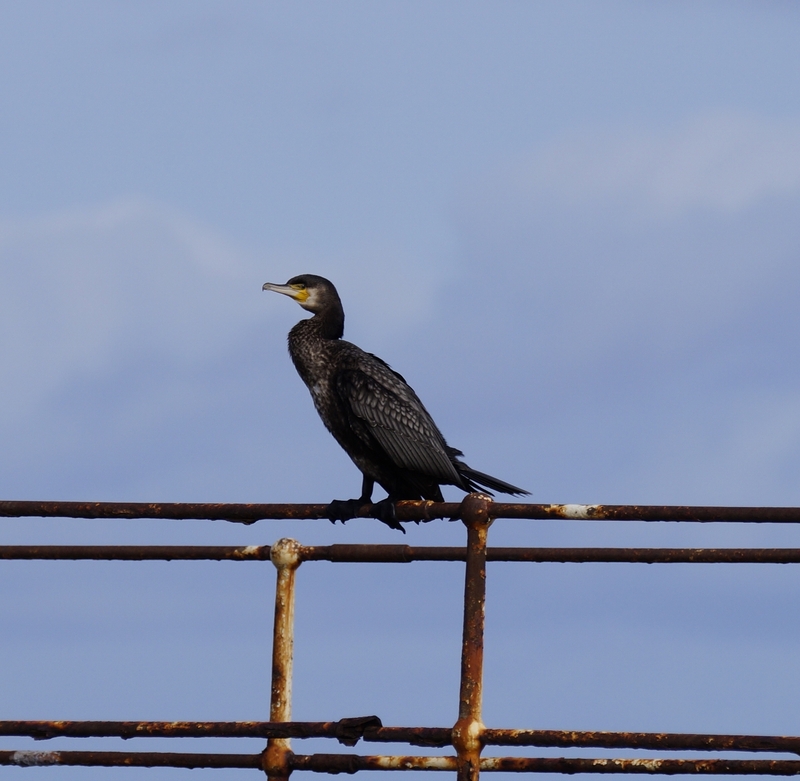 Along the East Pier, there were numerous cormorants sitting on the railings. The far wooden section of the East Pier is cut-off at the moment, and this isolation makes it a safe space for the birds. It wasn’t just birds; in the harbour a Common Seal briefly appeared, before disappearing out to sea. Sadly too quick for me. There are plenty of signs asking us not to feed the gulls, and this is sensible. But I never like to see a bird demonised, so let’s end on a dramatic image of a Herring Gull. 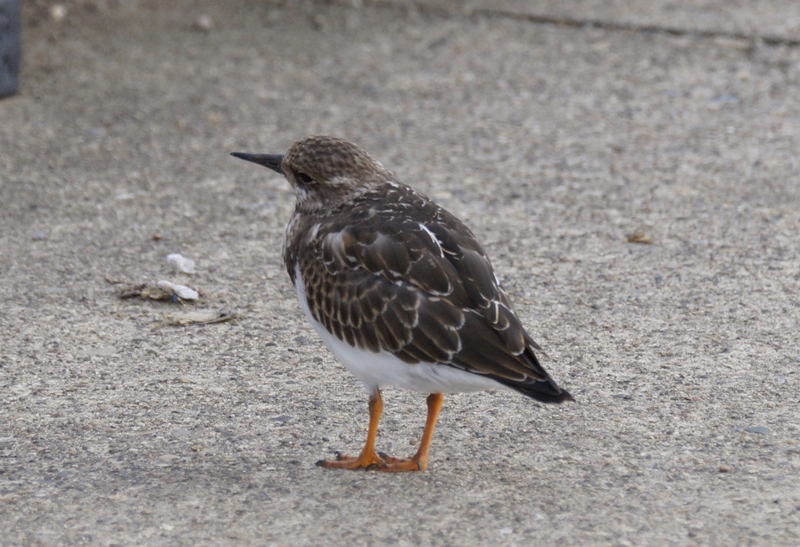 This entry was posted in Birds, Mammals, Yorkshire and tagged cormorant, gull, herring gull, oystercatcher, purple sandpiper, turnstone, Whitby. Bookmark the permalink.